When Someone knocks off Missus MacDonald's pie, it's up to an intrepid boy detective to go undercover and solve the case. 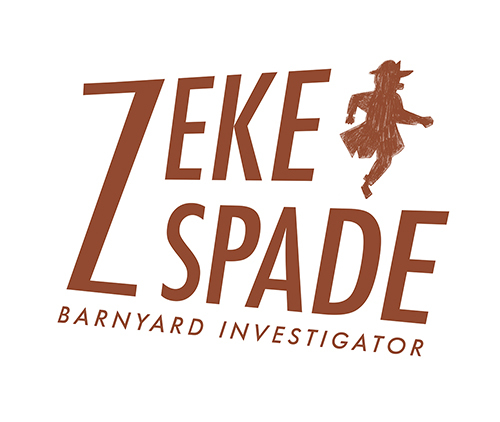 Meet Zeke Spade, Barnyard Investigator! It's film noir on the farm in my developing graduate thesis project. This character-driven, wordplay-filled work in progress turned into a stylistic departure when I strictly adhered to the visual mandate: cute meets crooked. This original picture book follows the travels of an observant young boy with a spyglass. As sea monster sightings pile up in the face of dismissive adults, readers are ultimately left with the question: Why shouldn't we let our imagination get the best of us? The illustrations are inspired by travel posters of the 20s and 30s with a particular debt to A. M. Cassandre. For the full experience, download the epub file. Working from Steven Millhauser’s short story, Phantoms, I wrote and illustrated a fictional picture book called “Newcomers”. In the effort to work within the rules so explicitly described in Millhauser’s haunted universe, I decided that the best approach would be to create an object that would exist within that established world. “Newcomers” is presented as a banned book, forbidden in libraries partly due to the tendency readers have to deface and erase the phantom characters depicted in the illustrations. The tone and ideas of this project are atypical for children, to say the least. Therefore “Newcomers” is ultimately an editorial appropriation of the picture book format. Nestled within the story of a phantom family as new neighbors, is my interpretation of Millhauser’s phantoms as the “other” in society; how groups react to and understand a foreign presence and its associated habits and traditions. These kinds of narratives are complicated and sensitive. Employing the understated, quiet atmosphere of the source material, I explored this theme as truthfully as I could in a collection of digitally colored charcoal drawings. 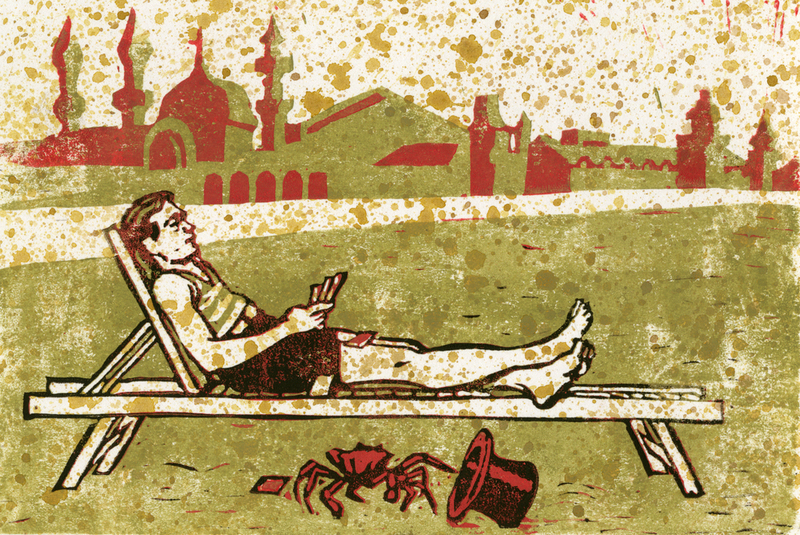 A wordless, five image narrative series about the playful relationship between a magician and his assistant, as well as the wonders hidden within a silk top hat, on a summer day in Coney Island. 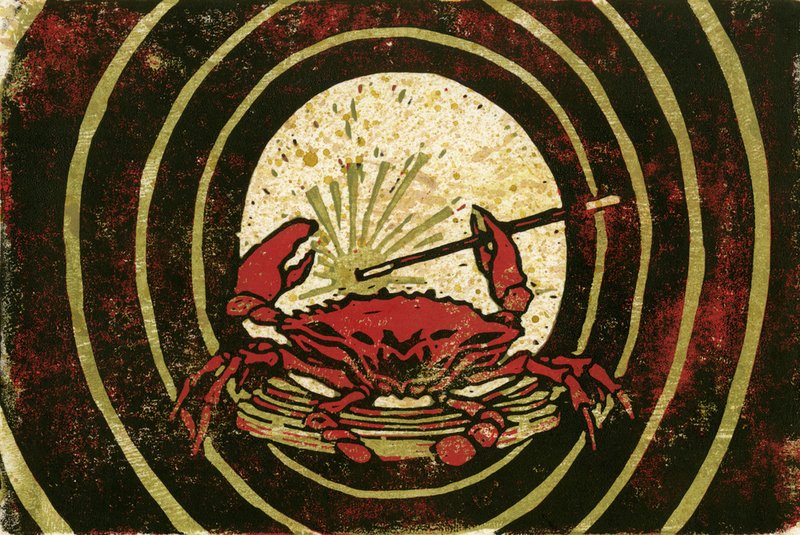 Each illustration is a three color reductive rubber stamp print on hand-speckled paper. A collection of illustrated works on paper combining animals and vintage household ephemera. 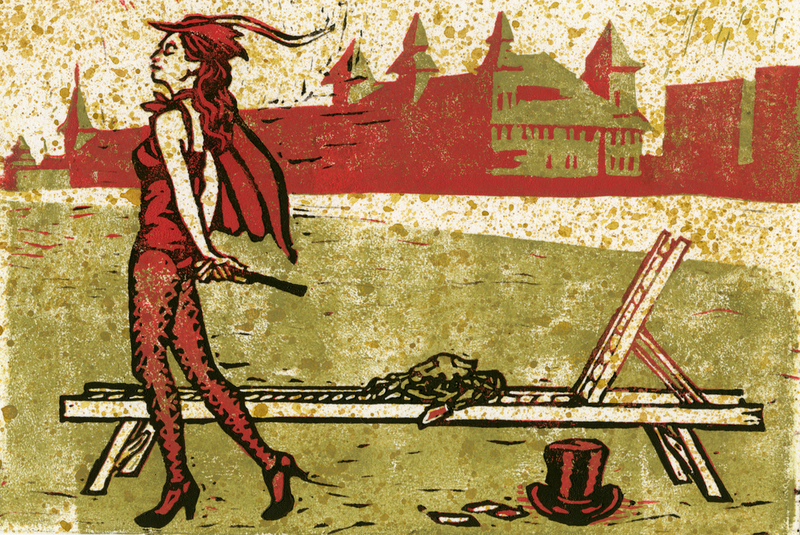 This continuing series of drawings were part of a successful kickstarter campaign that funded the creation of four letterpress notecards and a limited edition screen printed poster. Click on the above link to learn more about the creative process behind the project!